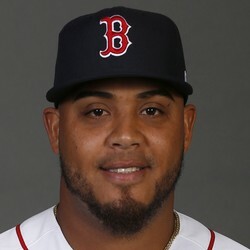 Darwinzon Hernandez struck out three over two perfect innings as the Red Sox beat Northeastern 6-0 on Friday. The southpaw is expected to join the Red Sox bullpen at some point this summer. He struck out 24 hitters in just 11 1/3 innings back in the Arizona Fall League. Hernandez will begin 2019 in the Double-A rotation.